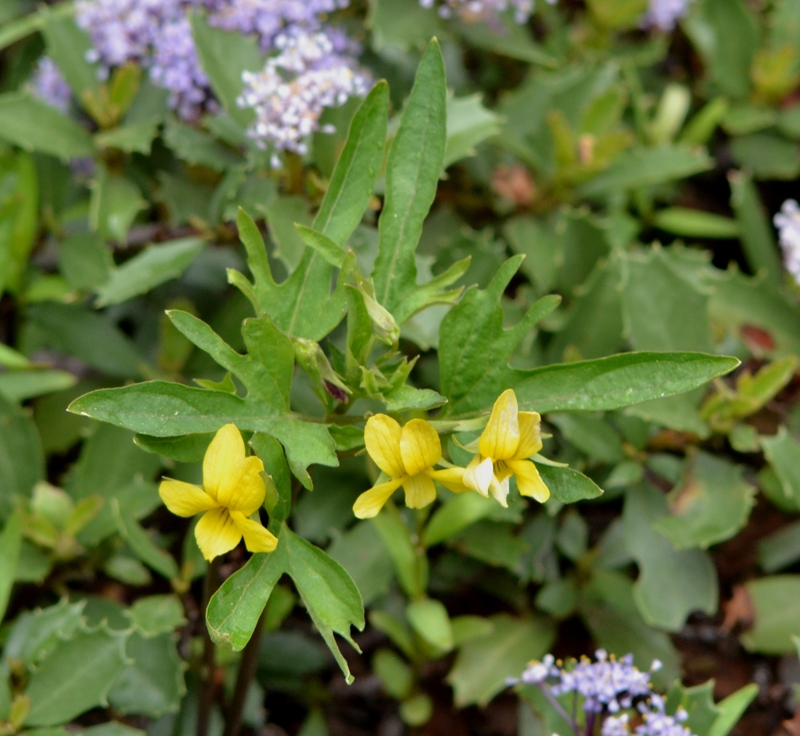 Pine violets (Viola lobata) are found in dry, open woods in the mountains of California and Oregon. The leaves of this bright yellow violet are quite variable. This subspecies (ssp. lobata) has basal leaves with long petioles and three to nine broad finger-like lobes. Often the leaves are described as looking like moose horns. These pine violets were growing along the Klamath River north of Yreka CA. This entry was posted in Wildflowers and tagged nature photography, pine violet, Viola lobata. Bookmark the permalink.